This year’s Paisley 10k returns on August 21st and is aimed at the serious runner and the first timer. With just under 2 months to go until the big race day, now is the perfect time to start training. Renfrewshire Leisure has created a motivating video for first-time runners, which shows them not to give up – and pursue various types of exercise to help them achieve their goal of running the race. 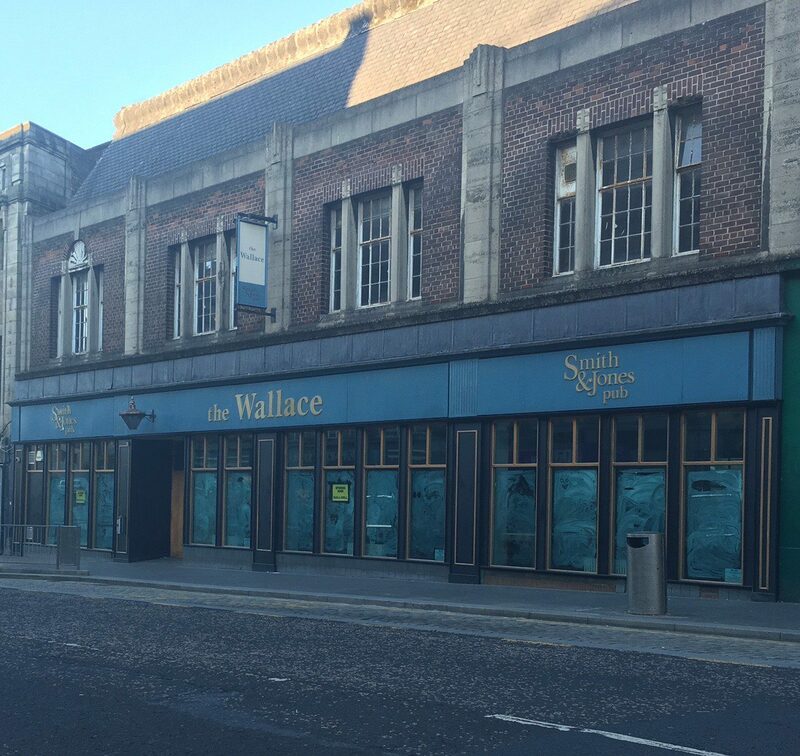 After a few months of extremely hard work it gives me great pleasure in announcing that The Wallace on Causeyside Street will be aiming to open on Friday 27th May, we will open the doors at 7pm and have some free food to sample from our fantastic Chef and live entertainment to celebrate this great venue opening. The For Paisley 2021 campaign aims to give everybody in Paisley, Renfrewshire and beyond the chance to share what they love about the town and fly the flag for the culture bid. It includes a brand book – available to download as of today – including posters, logos, email signature, and key cultural facts about the bid and the town. The aim is for anybody with an interest in the bid to find out how they can be part of it and access all the material they need to showcase their support For Paisley 2021 and develop their own bid campaign. The campaign was launched in the town’s High Street by Councillor Mark Macmillan, chair of the Paisley 2021 partnership board, and Paisley 2021 Bid Director Jean Cameron. They were joined by community groups, people from the local cultural scene, local business group Paisley First, pupils from local secondary Gleniffer High School, and town centre businesses including Linda Nutini, owner of Castelvecchi chip shop and mum of singing star Paolo. The lunchtime launch included a giant Paisley 2021 logo and gave passers-by the chance to stop to have their picture taken with branded props. The launch took place on the same day as the longlist of albums for the 2016 Scottish Album of the Year Award was announced. Paisley will be home to the SAY Award – the most prestigious date in the Scottish music calendar – for the next two years, with the 2016 ceremony taking in Paisley Town Hall on 29 June. Councillor Macmillan said: “Winning the UK City of Culture 2021 title would make a massive difference to the town, and everybody in Paisley and Renfrewshire would feel the benefits. “We have had great support from the local community since the bid launched last year – but there may be others who want to get involved and are not sure how. Bid Director Jean Cameron added: “Paisley 2021 branding has been visible around the town and at our events for a while now – it reflects the Paisley Pattern and the values and high standard of creativity for which the town is known around the world. “Today is about taking the brand into the heart of that community and saying ‘this is yours, please use it’ – and that goes for Paisley people throughout the rest of the world too. “Although we have had great backing to date we will only have a chance of winning if we show the judges at the UK Government’s Department of Culture, Media and Sport the local community is For Paisley 2021. FOOD LOVERS can look forward to sampling Paisley’s finest restaurants and eateries this April with the launch of Paisley Restaurant Week. From 11th-17th April foodie fans can celebrate Paisley’s delicious food scene and enjoy special offers in Paisley town centre restaurants. The weeklong celebration of dining is brought to you by Paisley First – Paisley’s Business Improvement District and will give Buddies and visitors the opportunity to rediscover the range of good food that is available in Paisley. Firm favourites and newcomers are getting involved with the event and the town centre businesses are looking forward to showcasing the developing food scene in Paisley. Cardosi’s, Saporito Wine Bar, Trattoria Genova, Hamishes Hoose, Allan’s Snack Bar, Castlevecchi and Grill in the Park are all preparing for a week of great offers to ensure Buddies can sample the best food, drinks and atmosphere Paisley has to offer. Joining Ian Henderson, Chairman of Paisley First, to launch Paisley Restaurant Week were Gary McCaw and Lyndsey Hyslop from Saporito Wine Bar along with Chris Smith and Besnik Ndoj of Trattoria Genova. Paisley First is excited to deliver the initiative which will promote Paisley businesses and the town’s food and drink scene. To celebrate Paisley Restaurant Week, you can follow all of the action on social media using the hashtag“#PaisleyRW16”. 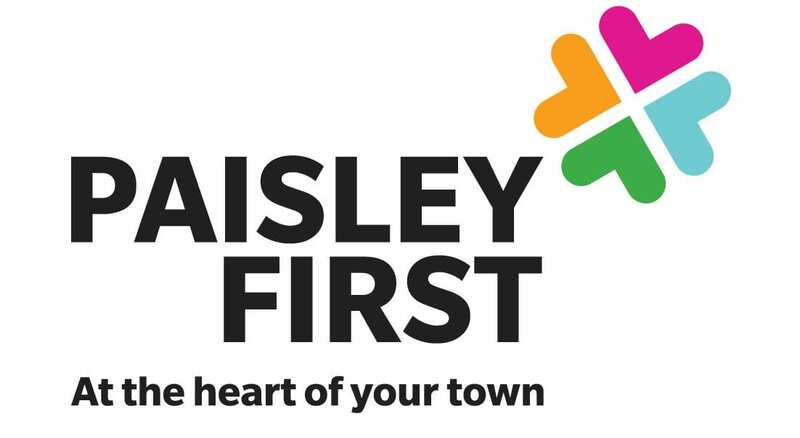 Information of all the week’s offers will soon be available on Paisley First’s website. Please visit www.paisleyfirst.com/paisleyrestaurantweek for updates.